A company is only as strong as the team behind it. Meet our team of dental hygienists and clinical assistants to find out why we’re passionate about what we do. I am a registered dental hygienist with more than 20 years of experience. I look forward to meeting you at Mercier Dental as we work together to keep your smile healthy and beautiful! I bring 10 years of hygiene experience and dental knowledge to our practice. I look forward to helping you take care of your smile! I have been a clinical assistant in the dental field since 1997. I have lived in New Albany with my husband and three children for 20 years. I look forward to taking care of your dental needs. I have over 10 years of experience as a clinical assistant. I take pride in working at Mercier Dental to deliver the highest standard of dentistry to my patients. 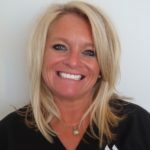 Lacy has over 18 years in healthcare and dental experience. She moved to Oxford, MS from Memphis, TN in 2016 with her husband Randy. She enjoys anything Ole Miss and spending time with her 5 kids. Call us at (662) 534-5252 to book your teeth cleaning and exam today!